Join over 28,000 creative go-getters and receive access to my library of tutorials, worksheets and resources for designers & creative entrepreneurs! What would you love for me to send your way? 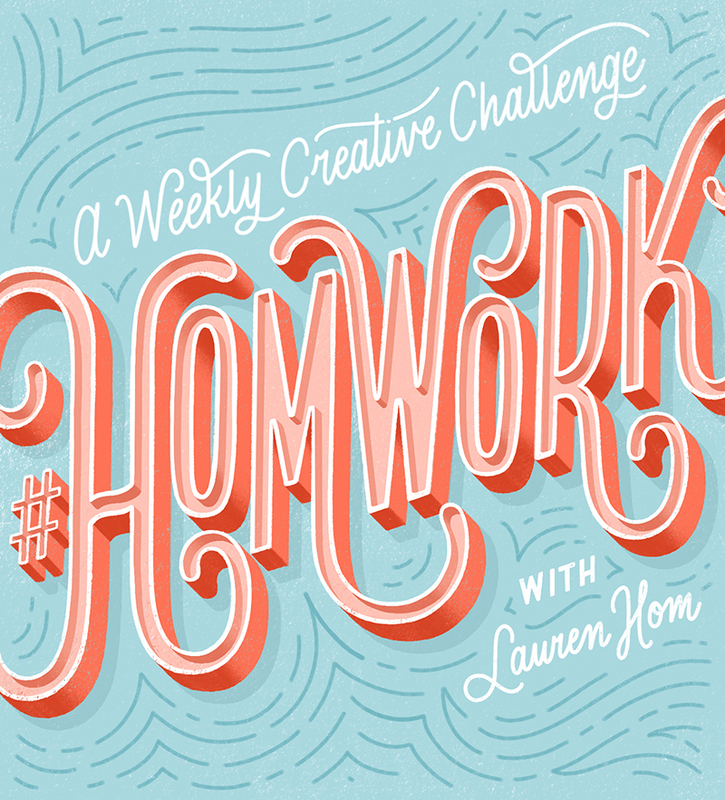 #HOMwork is my weekly creative challenge to help you sharpen your lettering skills, stay motivated to create, and share more of your work online. Check out previous prompts here. Covering all things lettering, marketing, and freelance, I’ll be adding exclusive new videos, tutorials, and worksheets on a monthly basis! I get wayyyy too many questions via social media to keep up with. Subscribers get access to submit questions to me weekly, which I’ll answer in my IG Story the following week! Get early announcements about classes, news, and events (plus special offers only for subscribers)!